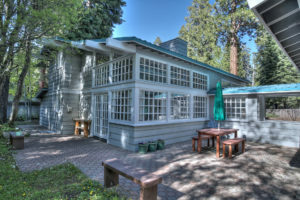 Home > New Listing in Tahoe City! This charming Old Tahoe home has so much to offer, including beautiful level lot that is landscaped, quiet neighborhood, close proximity to town and even an outdoor cooking area! Unique architecture, immaculate, spacious, and meticulously maintained. No problems staying warm and dry in the winters with a large, heated garage, heated floors and both a wood stove and fireplace. Very convenient to Sunnyside, Tahoe House and all Paige Meadows trails.